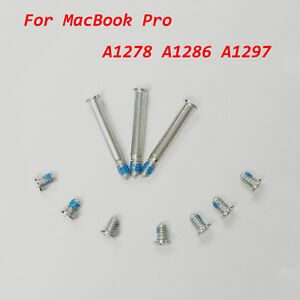 10 PCs Bottom Back Case Cover Screw Screws Set for Apple MacBook Pro 13" 15" 17"
jewelry-work has no other items for sale. Arrived today! Thank you very much! Seller took a while to ship -arrived 2 weeks late. Had to buy elsewhere. Never received the item after waiting for more than a month. Waste of time.